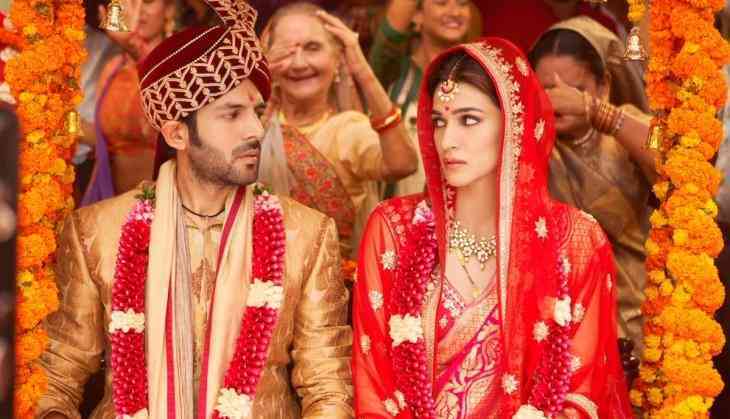 The film Luka Chuppi starring Punchnama baby Kartik Aaryan and Kriti Sanon has hit the silver screen and the film is just making a buzz about its hilarious content. The opening days collection of the film Luka Chuppi has really impressed and it has shown how Kartik Aaryan has now become a star to handle a movie on his shoulders. The film has done 18 crores collection in two opening days. #LukaChuppi zooms upwards on Day 2... Another strong day [Day 3] will place it in a comfortable position due to the controlled costs... Will cross *opening weekend* biz of #SKTKS [₹ 26.57 cr] and #PKP2 [₹ 22.75 cr]... Fri 8.01 cr, Sat 10.08 cr. Total: ₹ 18.09 cr. India biz. The film on its opening day collected 8.01 crores and that was even the highest from Stree, Raazi, and Badhaai Ho. These all three films were turned into surprise hits due to their content and without any star power. In the opening day, the film easily showed it is here to entertain the audience and to be another successful hit in the year 2019. According to the trade analyst Taran Adarsh, the film Luka Chuppi collected 10.08 and with this the total collection 18.09 crores. It looks like that the film easily cross 50 crores mark at the box office in its opening week. The interesting is that Luka Chuppi has become Kartik Aaryan's highest opeing grosser beating his last two films Sonu Ke Titu Ki Sweety (6.42 crores) and Pyaar Ka Punchnama (6.80 crores). The film has also clash with Sushant Singh Rajput, Manoj Bajapyee, Bhumi Pednekar, Ashutosh Rana, Ranvir Shorey starrer Sonchiriya, however, due to lower screens, it is not a big trouble Sonchiriya.